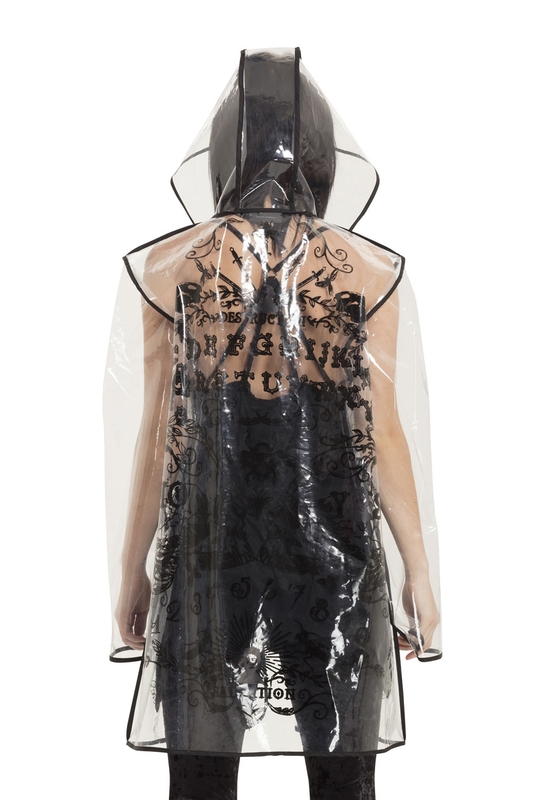 Keep dry in our Necromancer Raincoat. A completely transparent outer layer, so you can still see your outfit obvs, but with a black ouija print to pump up the Makutu. Love the look? 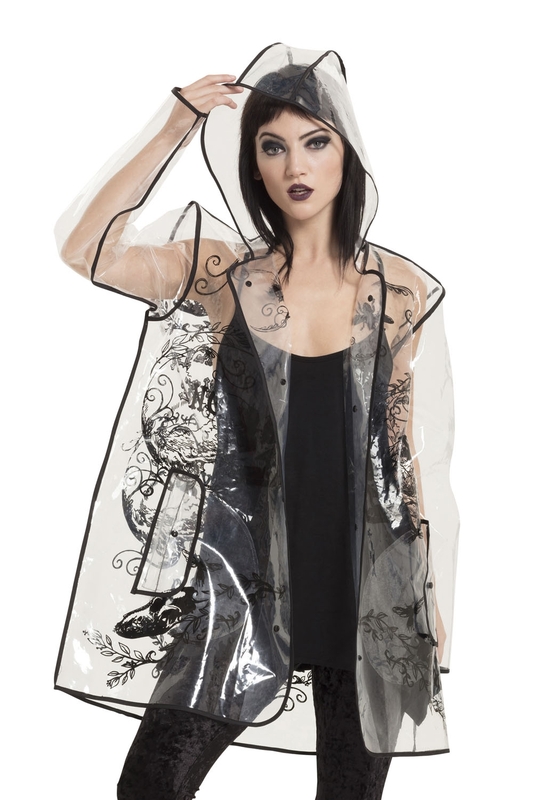 Check out the Into The Woods Raincoat!